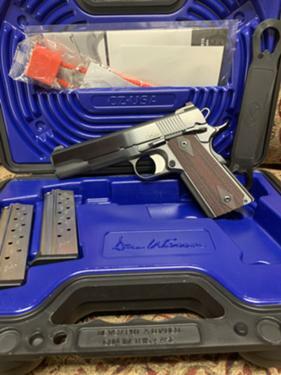 For Sale: Dan Wesson 1911 in 9mm. This is an excellent pistol only fired once and has approximately 50 rounds though it. I recently purchased at Cove Creek. Willing to meet for sale. Buyer pays transfer fee. Please email me at email for more pics or to purchase. Please only serious inquiries. If the gun is listed it is still for sale.